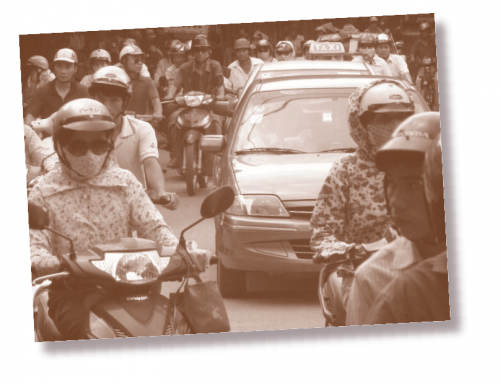 Congestion and economic equality both effect city motorization. The increasing motorization of developing countries is a testament to their economic growth, and to their citizens’ aspirations to faster and more comfortable travel. However, the commensurate increase in congestion on already crowded streets is threatening to isolate workers from employers, and to incapacitate the bus systems that many middle- to low-income commuters still rely on. Motorization can also be difficult for policymakers to respond to, because it often happens with startling speed. Why some countries adopt cars so much more rapidly than others is the puzzle I address in this article. 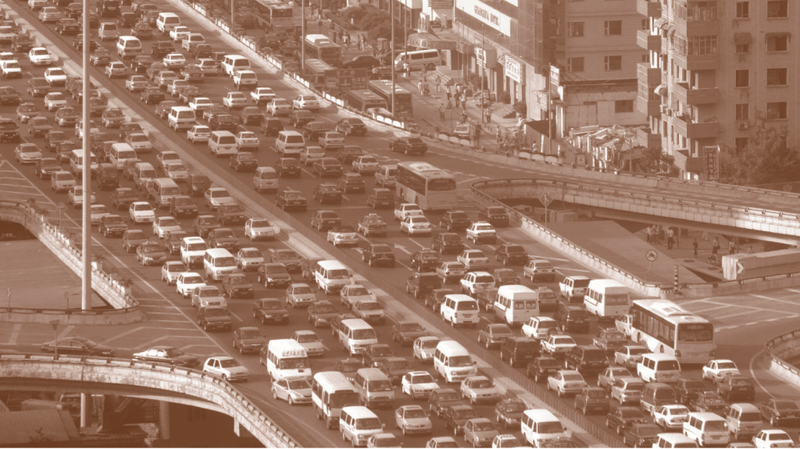 As a general rule, rising incomes lead to increased car use and worse traffic congestion. The streets of cities in developing countries serve multiple travel modes, reflecting the wide range of incomes among commuters and the variety of trip lengths and purposes. Compared to developed countries, many developing countries have large fleets of common-use vehicles, including public buses, private and often informally operated microbuses, and shared taxis (including motorcycle taxis). As incomes rise and cities grow, commuters switch from walking or bicycling to public transportation, usually buses, in an attempt to save their increasingly valuable time. Buses are efficient, but cars are faster and more comfortable. For example, the average bus in Sao Paulo, Brazil, travels 15 km per hour, while the average car travels 25 km per hour. 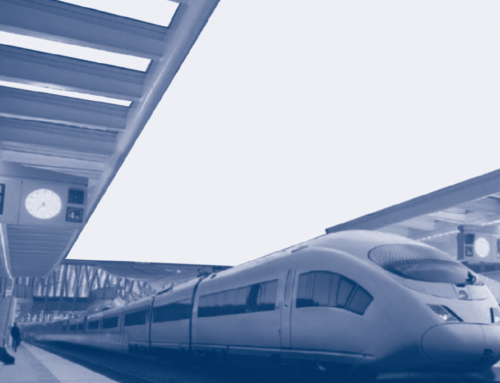 This faster travel speed, along with the ability to change routes and the benefit of door-to-door service, is more attractive to higher-income commuters who place a higher value on their time and can spend more money on commuting. Surveys routinely find higher rates of car ownership and usage among higher income households. Income alone cannot explain motorization because countries with similar income levels often have widely varying levels of car use. But income alone cannot explain motorization because countries with similar income levels often have widely varying levels of car use. Ascertaining why this is the case is difficult, not least because there is little reliable data on vehicle use that is comparable both across time and across countries. The best available data come from the International Road Federation’s (IRF) World Road Statistics. 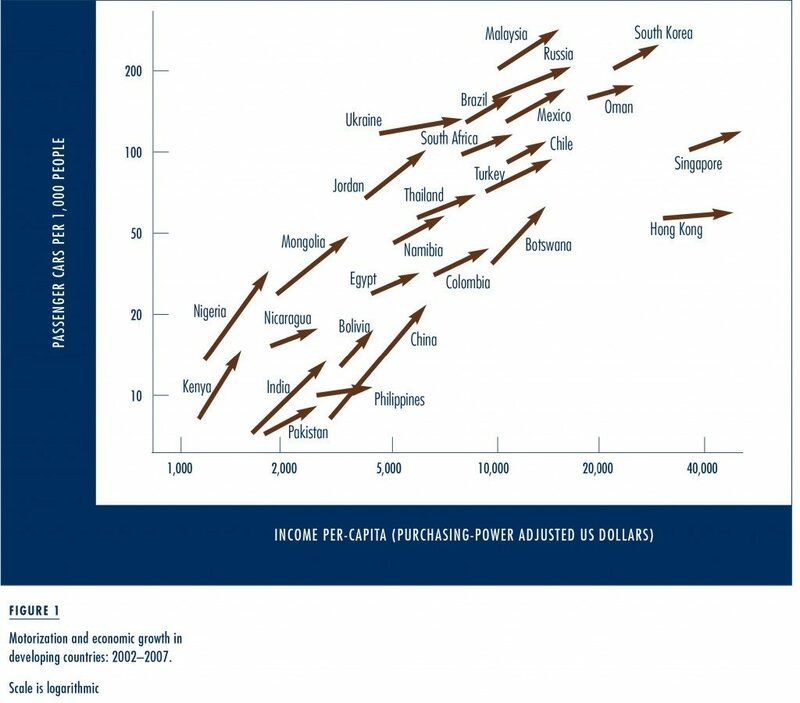 Comparing the IRF’s data on passenger cars per 1,000 people with the World Bank’s data on per-capita income shows that rising incomes are, unsurprisingly, associated with increasing car ownership. The arrows in Figure 1 track the change in income and car ownership for a selection of countries from 2002 to 2007 (with both axes on a logarithmic scale). Note the astounding growth of China, where per-capita incomes almost doubled and car use almost tripled. Car ownership rises with per capita income within each country, but large, unexplained differences between countries remain. For example, consider the middle-income countries of Botswana, Chile, and Malaysia. All three countries have similar per-capita incomes, around $10,000 a year, but Botswana has only 55 cars per 1,000 people, while Chile has about 100 and Malaysia has over 200 cars per 1,000 people. Similarly, Pakistan and Nicaragua are both lower-income countries, with incomes around $2,000 a year. Nevertheless, Pakistan has only 8 cars per 1,000 people while Nicaragua has 18, over twice as many. What accounts for these differences? Consider two low-income countries, one of which has high inequality and the other a more equal distribution of income. Because a certain minimum level of income is necessary to buy and maintain a car, the unequal society, which has a larger share at the upper end of its income distribution, may initially have a larger share of car owners than the more equal society. The equal society may have some high-income car users, but the bulk of its population is concentrated in a bus-using middle class. When per-capita income rises in the unequal society, the rich, who already own cars, continue to get richer, but the poor, who did not have cars, may still be too poor to afford them. The positive relationship between inequality and car ownership can reverse, however, as countries develop and overall incomes rise. When per-capita income rises in the unequal society, the rich, who already own cars, continue to get richer, but the poor, who did not have cars, may still be too poor to afford them. In contrast, rises in per-capita income in the equal society accrue broadly across the population of commuters, pushing the bulk of the middle class into cars. Because a country with more equal income distribution has a larger middle class, car purchases may occur quickly across a large share of the population, resulting in a rapid increase in car use. To illustrate the relationships among income inequality, economic growth, and car ownership, consider some of the countries mapped in Figure 1. Among low-income countries, with per-capita incomes around $2,000 a year, high inequality countries in Latin America, such as Nicaragua and Bolivia, tend to have higher car ownership than the more equal societies of South and East Asia, such as India and the Philippines. This order tends to be reversed for middle income countries, with incomes around $10,000 a year, where more equal Asian and former socialist countries, such as Malaysia, Russia, and South Korea, have higher car ownership than less equal African and Latin American countries, such as Botswana and Colombia. As incomes rise, congestion worsens, bus travel slows, and more commuters buy a car. In developing countries, rising traffic congestion, fuelled by rapid motorization, can tip the balance toward a vicious circle by increasing bus travel time relative to car travel time. A reasonably full bus uses road space more efficiently than cars do, so each car driver contributes more to congestion than each bus rider. But even in cities where the vast majority of commuters travel by bus—such as Lima, Peru and Nairobi, Kenya—the majority of vehicles on the road are cars. And while buses contribute less to congestion than cars, they also adapt to congestion more poorly. Buses have more difficulty maneuvering on congested streets than do cars, and in particular they have more difficulty getting to the curb to make their frequent stops. Thus while buses account for little of the causes of congestion, they absorb a disproportionate share of the costs. The highest income bus riders are nearly indifferent between slower, cheaper bus travel and faster but more expensive cars. When bus travel time increases, therefore, these riders soon switch to cars. As incomes rise, congestion worsens, bus travel slows, and more commuters buy a car. Because of the increase in traffic congestion, even lower wage commuters who have a lower value of time will come to prefer car travel. And as these commuters switch to cars, more traffic congestion induces even more switching between modes. Eventually, when income changes abate, bus use stabilizes at a lower, equilibrium level. This transition has the potential to be very rapid, and would most likely occur when middle class workers begin to switch to cars. Eventually, with degraded service and longer wait times, even many of the poor may stop riding the bus. Rising incomes are not always associated with rapid increases in motorization. Singapore and Hong Kong are economic success stories, but maintain rates of 112 and 54 cars per 1,000 people respectively. Singapore maintained stable car ownership by imposing high taxes on vehicle licenses, supporting public transport, and introducing a cordon toll on car travel into the center of the island. Hong Kong established an extensive system of rail, tramways, buses, ferries, and even outdoor moving sidewalks. Today it has one of the highest rates of public transport use in the world. Nevertheless, Singapore and Hong Kong are unique because they are island city-states where natural and political barriers prevent sprawl and require them to grow ever denser. Furthermore, their institutional structures have enabled them to implement bold programs that would likely be politically infeasible in more democratic countries. Singapore and Hong Kong’s institutional structures have enabled them to implement bold programs that would likely be politically infeasible in more democratic countries. In contrast, many megacities in developing countries seem almost unbounded spatially, and many policy interventions have failed. Schemes such as Mexico City’s even-odd driving days (where vehicles with license plates ending in odd numbers cannot be operated on certain days, and vehicles with even numbers cannot operate on other days) have not reduced the relative benefits of traveling by car. 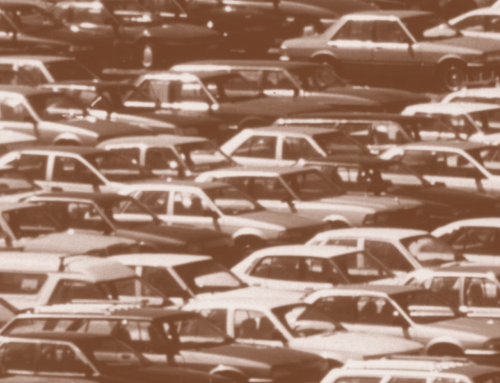 Ironically, these policies have spurred travelers to purchase second, alternate-day cars. One intervention that has spread rapidly in the last decade is Bus Rapid Transit (BRT). In the 1970s, Curitiba, Brazil pioneered this approach by restricting some lanes to bus travel and investing heavily in supportive bus infrastructure. Moreover, Curitiba has pioneered complementary land use planning. As a result, even as incomes and values of time have risen, a large share of the middle class continues to ride the bus. Cities across Latin America, and now in Asia and Africa, are investing in BRT systems with the help of funding and technical assistance from international lenders. Once people buy cars, they probably will not return to public transportation. 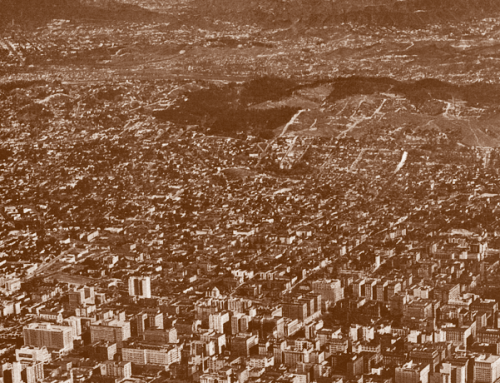 Thus one key to Curitiba’s success was investing heavily in the bus system and supportive land use planning just before the explosion of middle class motorization would have begun. Even in Curitiba, car use has risen substantially due to steady economic growth. With the roll-out of multi-national Tata’s very affordable Nano to the Indian car market in 2009, the income threshold necessary for car ownership is likely to fall. Even in the recent recession, Tata has been swamped with orders for the Nano, and annual car sales in India have continued to rise. Beyond changes in travel costs and the value of time, preferences for the status and independence of private transportation also fuel modal shifts. While rising incomes may induce more people to buy cars, driving them will not be peaceful or efficient. Early interventions, like reserved bus lanes, can benefit everyone by providing a low cost yet comparably efficient alternative to car travel and by maintaining connectivity in ever growing megacities. Gregory K. Ingram and Zhi Liu. 1997. “Motorization and the Provision of Roads in Countries and Cities,” The World Bank, Policy Research Working Paper Series, no. 1842. Mark J. Kutzbach. 2009. “Motorization in Developing Countries: Causes, Consequences, and Effectiveness of Policy Options,” Journal of Urban Economics 65: 154–166. Herbert Mohring. 1972. “Optimization and Scale Economies in Urban Bus Transportation,” American Economic Review 62: 591-604. Daniel Sperling and Deborah Gordon. 2009. Two Billion Cars: Driving Toward Sustainability. USA: Oxford University Press. Eduardo Alcantara Vasconcellos. 2001. 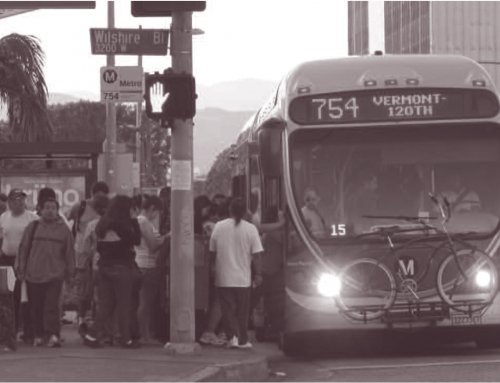 Urban Transport, Environment and Equity: The Case for Developing Countries. London: Earthscan Publications Ltd. The World Bank. 2010. World Development Indicators 2009. Washington, DC: The World Bank. Mark Kutzbach is an Economist at the United States Census Bureau, Center for Economic Studies, Local Employment and Household Dynamics Economics Research Group. He received his Ph.D. in Economics at the University of California, Irvine (Mark.J.Kutzbach@census.gov).